interesting collaboration we got going on here. 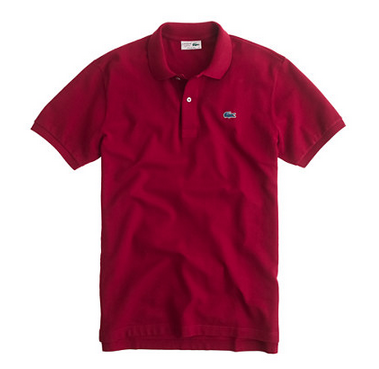 my first thought was why the hell do we need a j. crew and lacoste collaboration. i love j. crew (obviously) and lacoste is all i wore in college (they used to be hard to find – seriously), but this partnership seemed unnecessary until i read further. what they’ve done is added a retro logo (dig it), notched the tennis tail (necessary), and updated to a slim fit (boom goes the dynamite). this is a shirt i can get behind for the spring. see you on the court, winthorpe.